I was fortunate enough to be visiting one of my college classmates in Columbus, GA last spring and saw two large bags of onions in his kitchen... but not like the ones you get at the grocery store. Two standing 50 lb. bags! "It's Vidalia onion season!" his wife happily proclaimed. Apparently, Vidalia onions are the official vegetable for the state of Georgia. My friends shared numerous Vidalia onion recipes, but the one for French onion soup was my favorite for its simplicity and its flavor. The best part about the recipe, hands down, is the fact that I can use the microwave to caramelize the onions—and save myself almost an hour of low heat and constant stirring on the stovetop. Being able to enjoy a delicious bowl of French onion soup with less than half of the work makes the soup taste that much sweeter... or maybe that's the natural flavor of the onions talking. Of course, I highly recommend using Vidalia onions if they're in season; however, if you use a large sweet onion instead, you're still in for a treat. Don't Miss: The Onion Cheat Sheet: Which Onion Should You Use? You'll also need a microwave-safe bowl or mug. 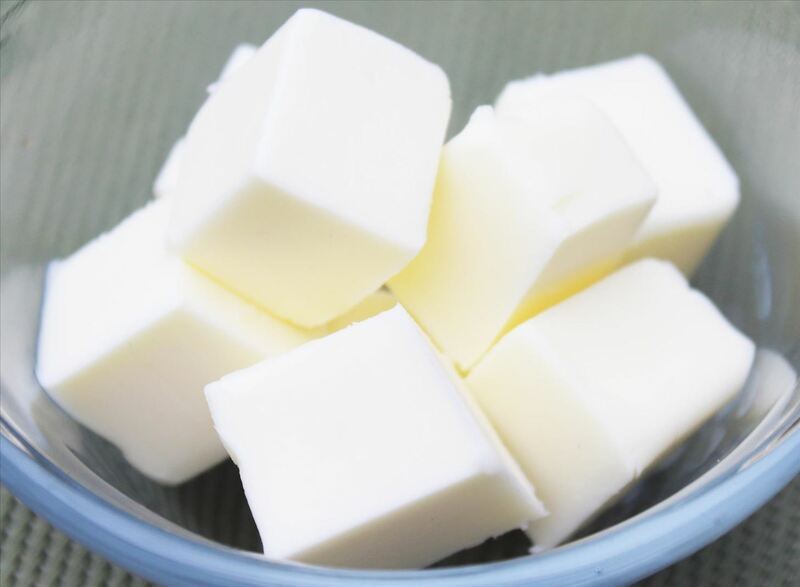 Put butter in a microwave-safe bowl and heat for 30 seconds to melt completely. Use additional time if necessary. 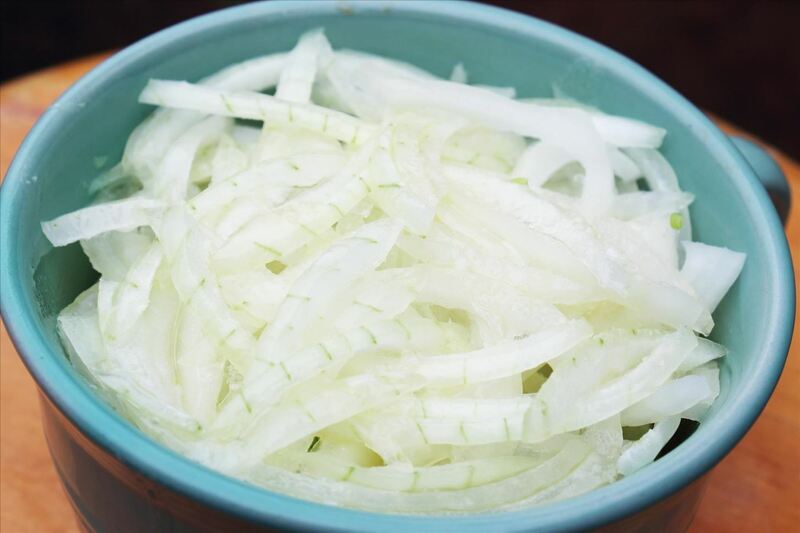 Pour the melted butter over the sliced onion in another microwave-safe bowl, then stir to mix well. Cover the bowl, then microwave on high for 10 minutes. Remove the bowl from the microwave (careful—it will be very hot), remove the lid, and stir. The slices should look translucent and slightly golden, as seen below. Cover the bowl again, then microwave for an additional 1-2 minutes until the onions become a deep, golden brown—this is the level of desired caramelization we're looking for. Be sure to only microwave an additional minute at a time past 12 minutes, or your onion will very likely burn. 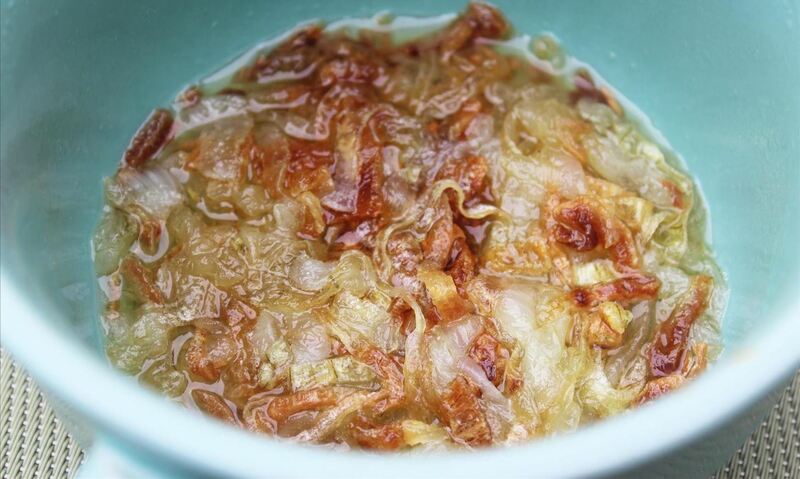 At this point, your kitchen is very likely flooded with the amazing smell of caramelized onions. Your mouth may be watering, but don't worry—there are less than 5 minutes left of cooking between now and enjoying your savory, decadent soup. 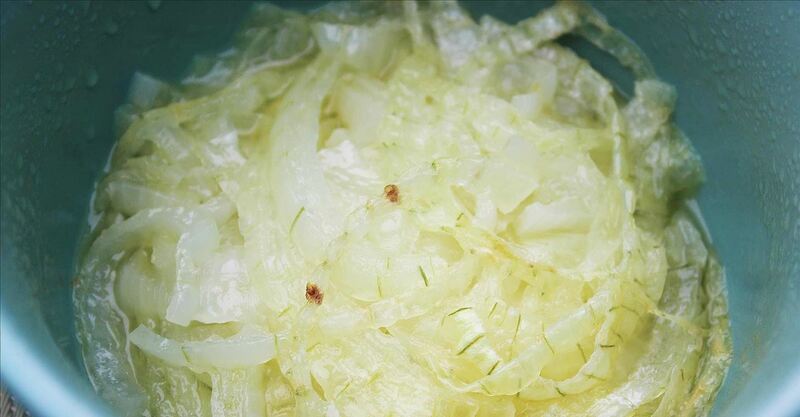 Once the onion slices are caramelized, remove the bowl from the microwave again and add the beef bouillon cube and 1½ cup of water. (These two ingredients will create the broth.) Cover again, then cook for 2 more minutes. Remove the lid, then stir the broth to make sure the bouillon cube and butter spread evenly. Add 1-2 slices of Swiss or the cheese of your choosing. Cook for another 30 seconds or until the cheese is melted. And that's it—you're done! You can garnish your soup with green onions if you'd like, but I definitely recommend enjoying your French onion soup with any type of bread. 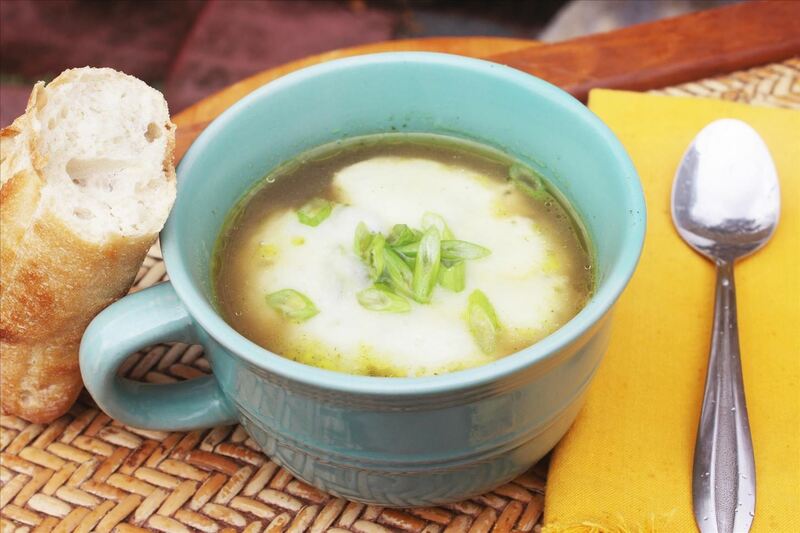 The broth is great for dipping! French onion soup is normally associated with a lot of fuss... not to mention the amount of time that it usually takes the brown the onions correctly. But thanks to the microwave, this rich, finicky soup is now yours to enjoy whenever you wish.